This is mostly a shout out to a really knowledgable young woman I had the opportunity to hear speak last weekend. 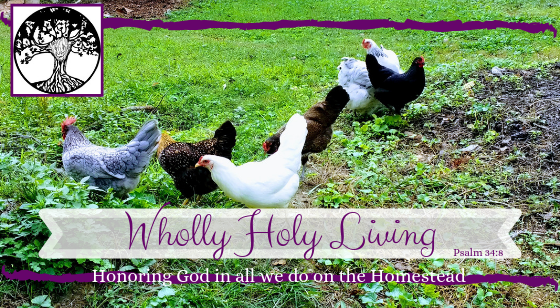 I recently had the privilege of attending the Appalachian Homesteading Conference where I gleaned much information regarding homesteading things like raising chickens, meat, smoking/preservation, canning, and herbal medicine. The most pertinent information to me was that on herbalism presented by Ms. Rachel Millford of Reclaiming Your Roots in Knoxville, TN. I greatly enjoyed both of Ms. Millford’s presentations, and while I already had a basic understanding of herbal medicine making, it’s always nice to get a “refresher” course or assurance that what you’re doing is in fact correct, and functional. In addition to information on various herbs that are great to have on a homestead, she shared a few of her recipes for Fire Cider and Elderberry Syrup. Her Fire Cider recipe is quite similar to my recipe for ACV Allergy Drink, with the additions of ginger and turmeric. Herbal Recipes for Vibrant Health. Rosemary Gladstar, Storey Publishing, 2008. Medical Herbalism. David Hoffmann, Healing Arts Press, 2003. Making Plant Medicine. Richo Cech, Horizon Herbs, 2000. I have not read any of those three books referenced, but Rosemary Gladstar is a favorite of mine regarding readability and practical information adequately shared through her books. You can visit Rachel’s Reclaiming Your Roots website by clicking the link above. She offers classes, workshops, and various herbal products she makes and sells. Overall, this is a gem of a resource and I believe there should be more like it throughout our communities.